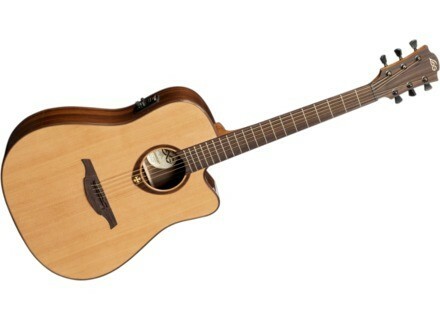 Tramontane T400DCE, Acoustic-electric Folk/Western guitar from Lâg in the Tramontane series. Lâg Guitars is giving musicians in the U.S. a chance to win a Lâg Tramontane T400DCE acoustic guitar, autographed by Richie Kotzen. Participants can enter the contest by visiting the promotions page on the Lâg website here and submitting their information in the provided fields. Entries for this contest must be received between 9:00 am EDT September 4th, 2012 and 11:59 PM EDT September 30th, 2012. 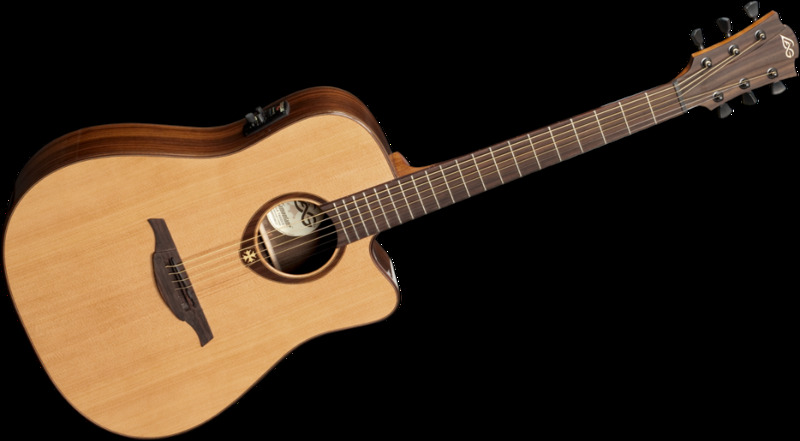 Offering a solid Sitka Spruce top, plus Indonesian Rosewood backs and sides, the Lâg Tramontane T400DCE also features Lâg's proprietary StudioLâg Plus electronics and Nanoflex pickups. To learn more about Lâg guitars, visit usa.lagguitars.com. To read more about Richie Kotzen, visit richiekotzen.com. Wampler The Paisley Drive Review The market of guitar stompboxes is quite saturated — competition is hard, manufacturers fight against each other with new controls and serial numbers. While I was reviewing a Blues 3000, I got the features of my next mission: handcrafted, overdrive, versatility. When I saw these three words together, I jumped into my mustang and headed out west. VOX StompLab Multi-Effect Pedal Series VOX Amplification announces the StompLab series of Multi-Effects pedals for guitar and bass. Korg TMR50 Combo Tuner Korg USA announces the TMR50 Combo Tuner, Metronome and Recorder.